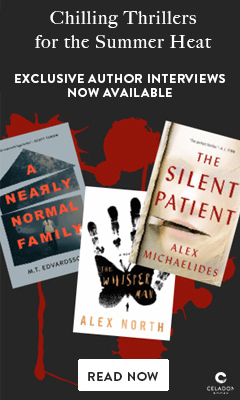 Alex North's The Whisper Man is an exemplary thriller, offering plenty of suspense, things that go bump in the night and complex psychological maneuverings that may--or may not--explain the good and the bad that is shared by fathers and sons. As the novel opens, off-duty Detective Inspector Pete Willis wearily heads out to help search for a missing six-year-old boy. He doesn't want to think about the similarities between this case and an old one that he still can't forget. At the same time, Tom Kennedy, a successful novelist and deeply bereaved widower, is struggling to connect with his young son, Jake. A gifted but troubled child, Jake knows more about the world around him than seems natural. He tries to be good, quietly drawing by himself, but his pictures profoundly disturb Tom. Detective Inspector Amanda Beck--a generation younger than Pete--wrestles with the case of the missing child, which does indeed turn out to be linked to the case that haunts the older detective. The serial killer, dubbed by the press "the Whisper Man," appears to have returned, although he's been in prison some 20 years; Pete was never able to pin down for certain whether there had been an accomplice. And now, there's another child-snatcher whispering to his victims before he takes them. Kids repeat the rhyme on school playgrounds: "If you leave a door half open, soon you'll hear the whispers spoken. If you play outside alone, soon you won't be going home...."
Tom and Jake have just relocated to a new village to start over, after the loss of Jake's mother. But it seems they've moved into a maelstrom of evil, like something out of one of Jake's drawings. The tension and the action ratchet up as the distant past becomes very present again. The Whisper Man is told from a number of different perspectives, chapter by chapter--Tom, Jake, Pete and the Whisper Man himself. They are occasionally joined by others, including up-and-coming DI Amanda Beck, who looks to Pete as a mentor; but the story centers on Jake, his father and their connection to the bad guy. Tom's perspective is the only one written in first person, giving him a compelling narrator's authority-- appropriate, as he is the novelist of the bunch. These differing voices exhibit North's adeptness with character, including the precocious child's view of the world in Jake's chapters. They also give the reader a chance to sleuth alongside the professionals. But North gives nothing away: even the most mystery-savvy reader will be gasping and page-turning to the very end. North's characters are multi-layered, deeply relatable while keenly entertaining as they reveal themselves. Pete struggles with alcoholism in a day-to-day battle that is both fraught and poignantly banal. A young man whose father didn't love him focuses on the meaning of a meal prepared with or without care. One of Tom's daily challenges involves taking Jake to school, where he waits for his son to look back over his shoulder or not, and where he worries about fitting in with the other parents (one of whom will become a significant side character). Each chapter in its turn, and each featured character, is so absorbing that the reader wishes to follow this lead and then that one--but the momentum of the plot is relentless. Characters that the reader has invested in are in danger, and the pages fly by. At nearly 400 pages, The Whisper Man is nonetheless a quick-reading, fast-paced novel. The psychology is complex. There's more than one bad guy, blurring into one another in the eyes of frustrated investigators Willis and Beck. And if The Whisper Man has a hero, or heroes, they are imperfect, each occasionally thinking themself the villain. Whether it surfaces as evil or good intentions, there is a strong theme throughout of the connections between fathers and sons: what is passed down, and what role free will has to play. Alex North was born in Leeds, where he now lives with his wife and son. He studied Philosophy at Leeds University, and prior to becoming a writer he worked there in their sociology department. Chapter by chapter, your characters take turns holding center stage. Was it complicated to manage so many points of view? Is there a strategy for writing this way? I think the structure is just what this story demanded. Although the characters do come together as the book progresses, they start off in different places, and they each have their own storyline to follow until they do. Tom is clearly the main character, and we follow the majority of the book from inside his head, but there is a surrounding cast whose stories gradually begin to dovetail with his, until all of them are inextricably linked by the end. I don't think it's necessarily any more complicated to write than a more straightforward single narrative. You do have to keep track of things very carefully, though, and you certainly don't want one strand of the story to overshadow another. In an ideal world, a reader will finish a chapter that focuses on one specific character completely desperate to find out what happens to them next--but equally eager to pick up on things from another character's perspective in the meantime and see what happens there. It's a balancing act, but I do like stories that use this technique. For one thing, if it's done well, it can drive you through the book. For another, it can sometimes become quite claustrophobic for me if I'm trapped in a single character's head for the entire story. But most of all, I think it's interesting when these characters eventually collide and interact with each other. Writing from different perspectives allows you to see things from different angles, because the characters will understand and interpret the same event in their own unique ways. We all do that in real life. And I think it helps to bring nuance and ambiguity to the story, with the truth being revealed through a combination of viewpoints. Fathers' impact on their sons forms a central theme of the book. Was that intended, or did it arise as the story unfolded? It was intended to an extent. To begin with, all I knew was that I wanted to write about a father left alone to care for his son, and finding it difficult. But there was a moment, shortly after moving into our new house, when my own son briefly mentioned that he was playing with "the boy in the floor"--which obviously gave me a bit of a chill! Thankfully, that didn't last, but at that point I knew the little boy in my story would have imaginary friends, and that some of them might turn out to be quite sinister and disturbing. The book unfolded from there. But the background theme of fathers and sons definitely expanded the more I wrote. It was on my mind the whole time, and so I found different connections emerging as I went. It felt a lot like things appearing through the mist: the more you write, the more the events in the book begin to link to each other, suggesting other connections, and so on. I was writing about fathers and sons from the beginning, but it took a first draft of the book before I discovered all the different ways that theme fed into the story. What are your favorite parts of writing a novel like this? Writing a novel is a marathon rather than a sprint, and I think you have to accept that there will be good and bad days--and far more of the latter--but I've learned that you have to go through all those bad days to get to the good ones. As is so often the case, half the battle is showing up. But while I've enjoyed the handful of days when the writing has flowed, there's also immense pleasure to be had in the ones when you had to drag yourself to the keyboard... and something just clicks. It's enough to keep you trying the next day and then the next. Which of course is what you have to do. 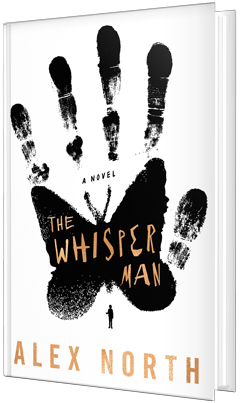 For The Whisper Man, the moments I most enjoyed were towards the end, when all the connections began to make sense to me and the book finally came together. It's easy to say what my favorite scene to write was, but also a bit of a spoiler. Speaking carefully, it involves a conversation between a little boy and a little girl. While there was still a whole load of writing and rewriting to do afterwards, that was the moment where I felt like I'd found the heart of the book and felt it start beating. 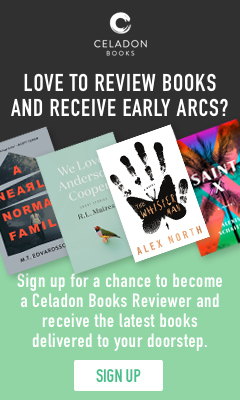 Can you give us any hints about your next novel?